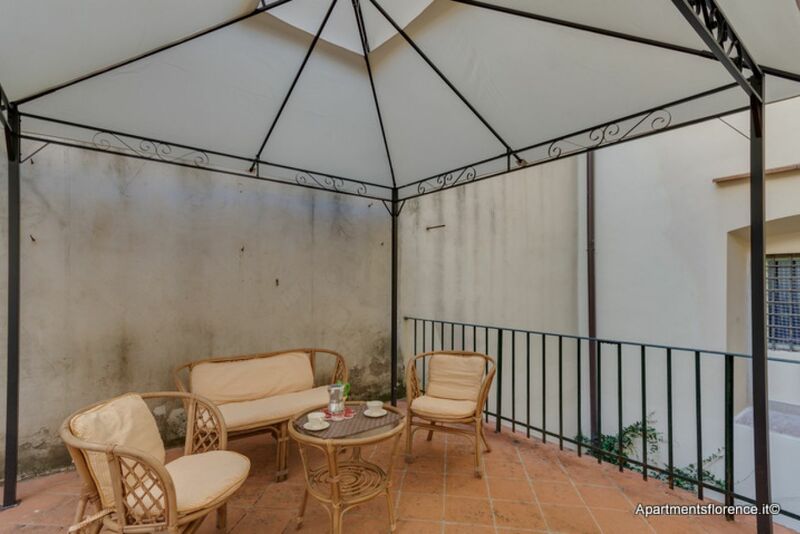 Fantastic location five minutes away from the Duomo: refined Tuscan style and marvellous outdoor terrace! 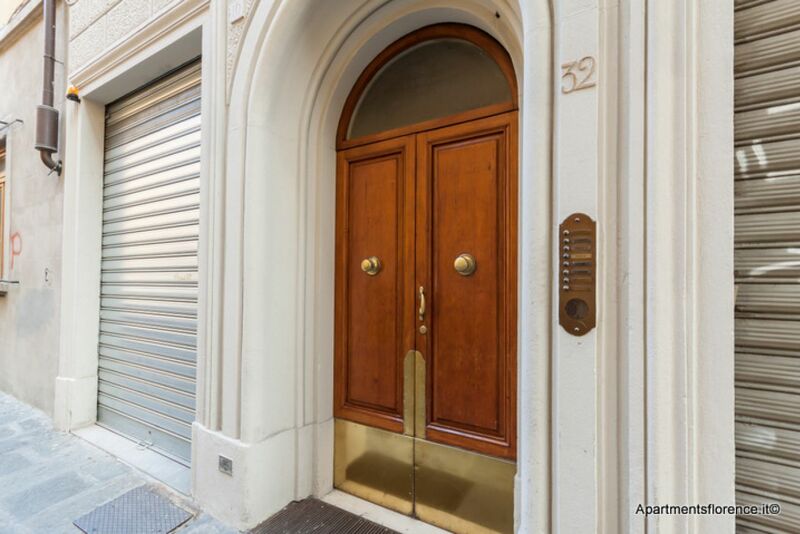 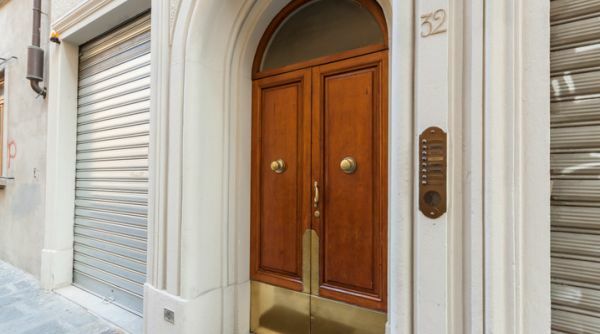 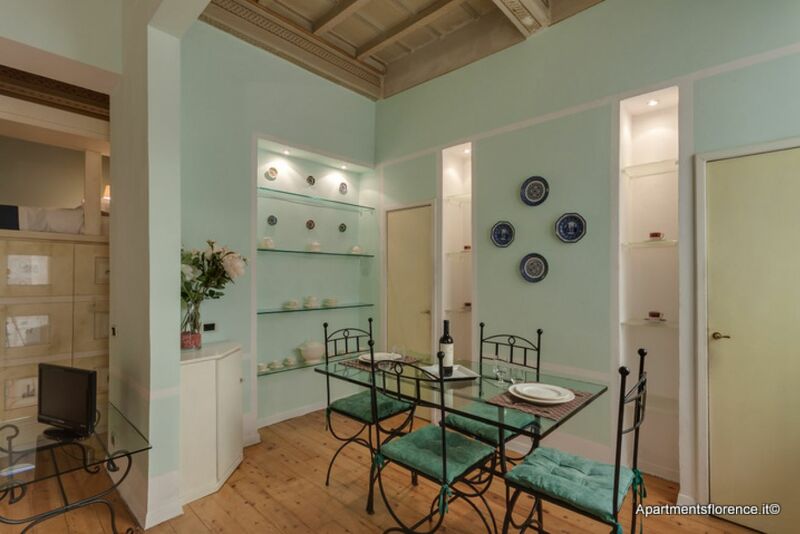 This wonderful apartment is located on the first floor (with elevator! 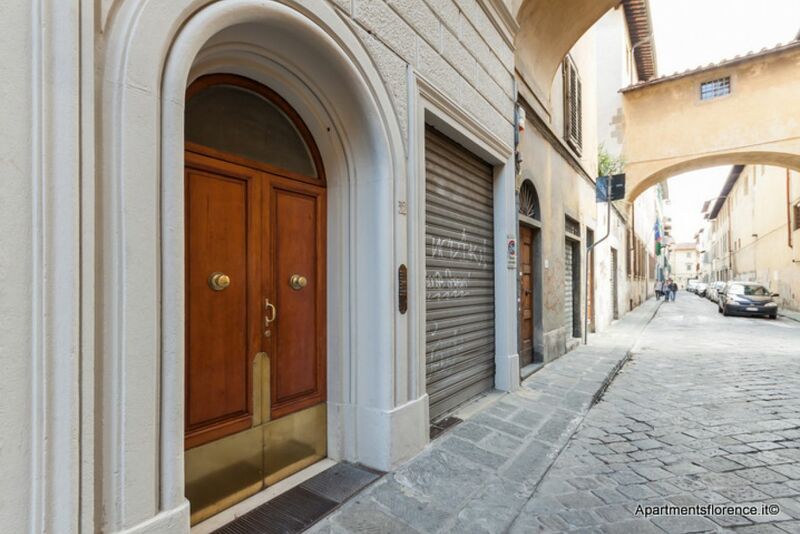 Very rare Feature in downtown Florence) of a typical building in Via Laura, a quiet street just off piazza Santissima Annunziata and five minutes away from the Duomo. 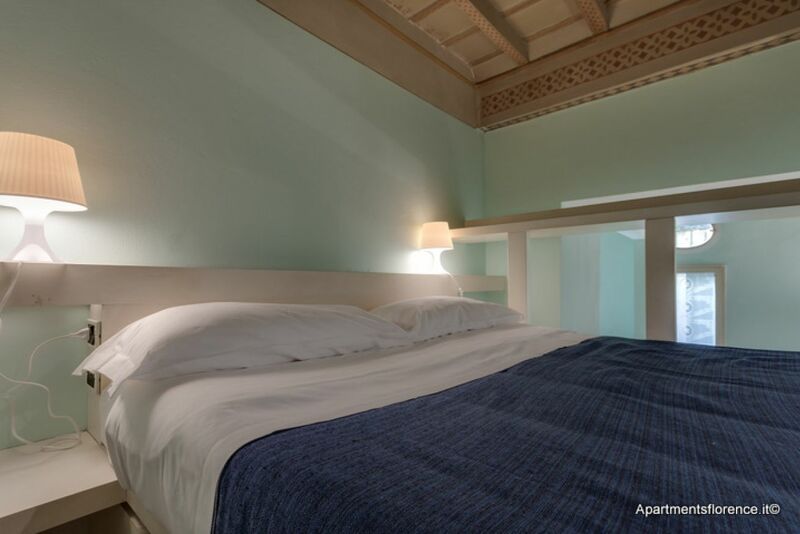 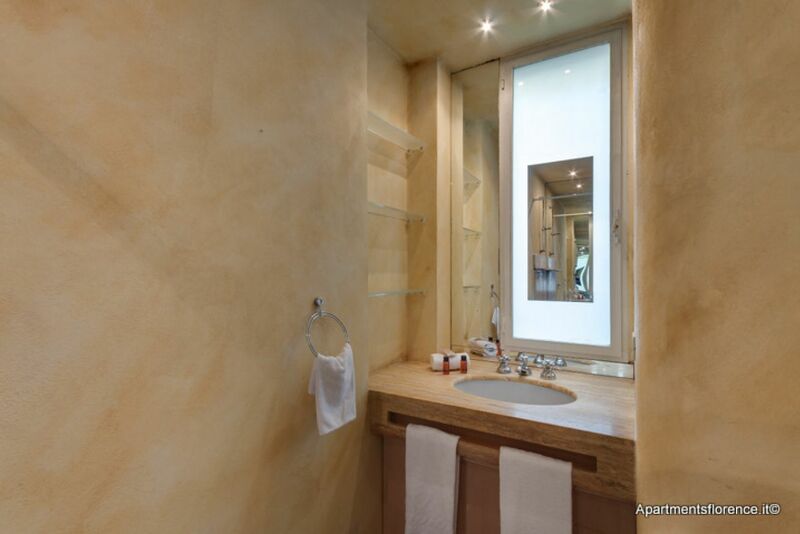 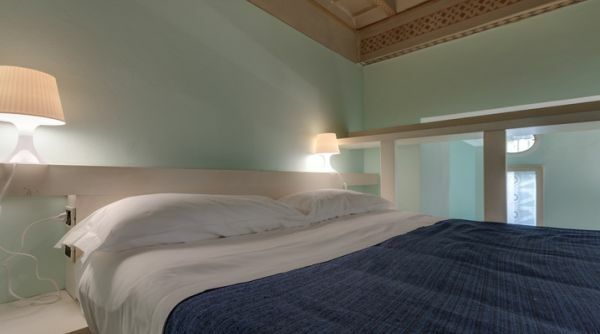 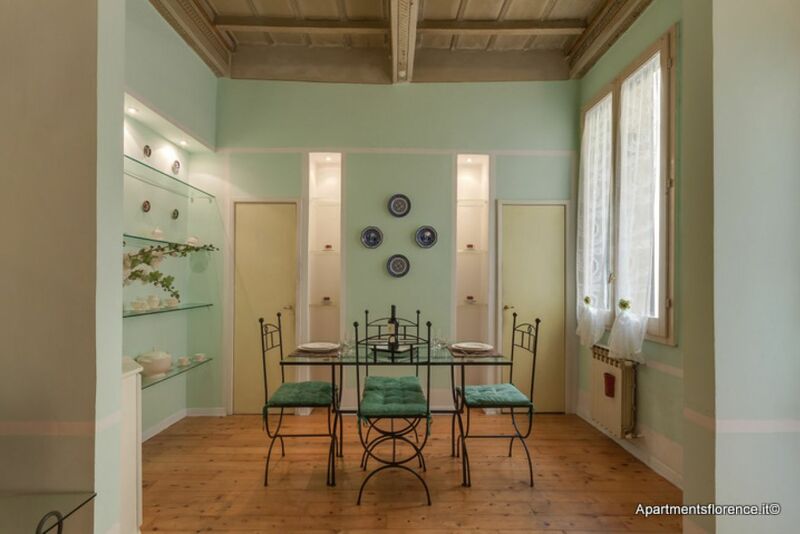 The whole place has been recently and tastefully renovaed and redecorated, with special attention to comfort, elegance and in preserving its autenthic athmosphere. 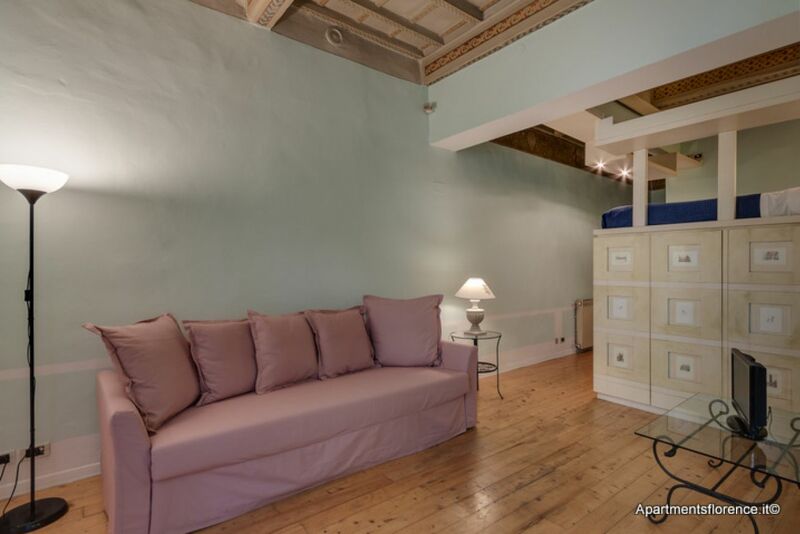 The marvelloys woodwork finished in the exposed beams in the ceilings, together with the light wooden floors and the light colour palette chose for the furniture and walls, donate a very warm and welcoming flair to this apartment. 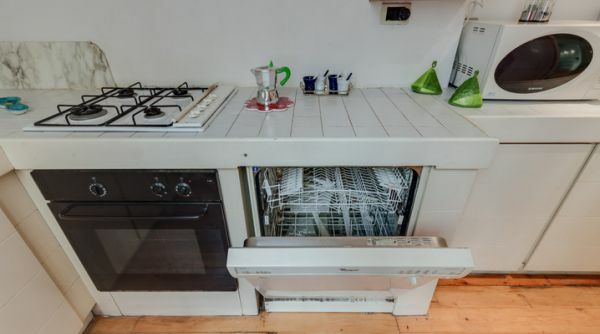 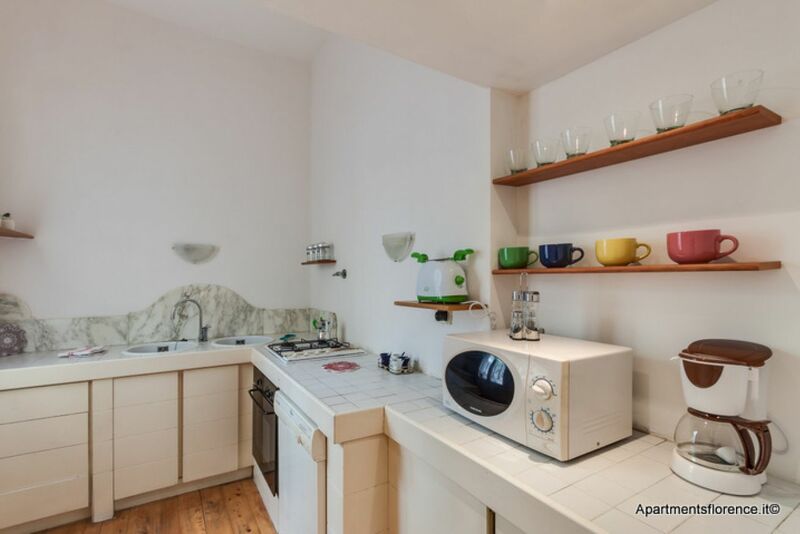 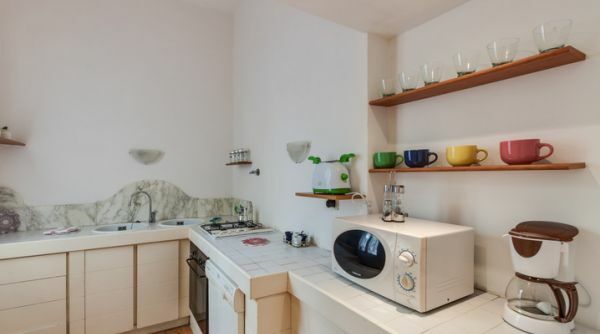 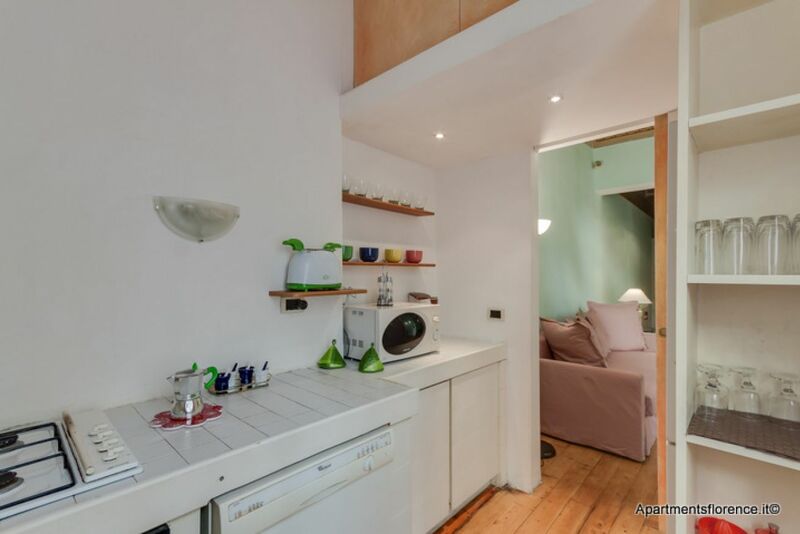 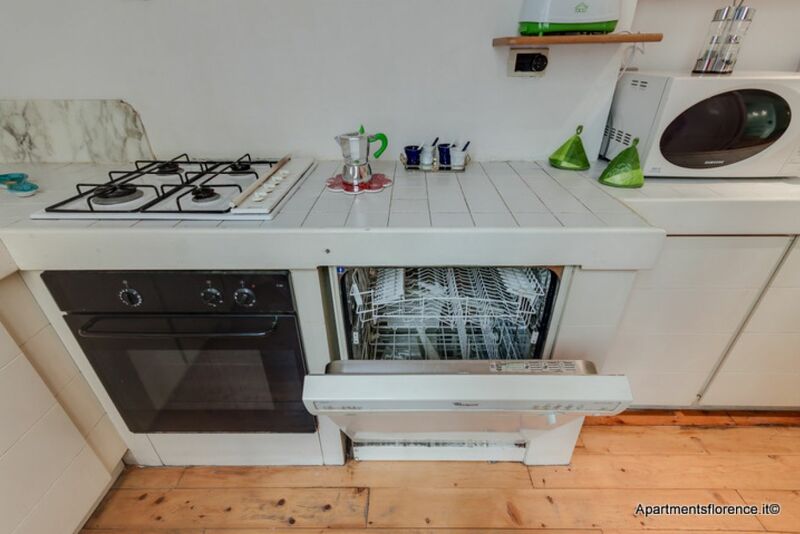 This apartment features a bright, modern and spacious kitchen, fully equipped with anything you may need to cook your own Italian pasta while on vacation, and plenty of storage space. 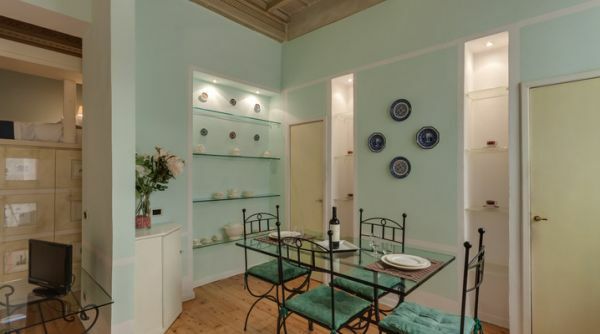 Moving on, you'll find the marvellous and luminous open space living area, featuring a marvellous iron and glass dining table for four, and a sitting area with a comfortable double sofa bed. 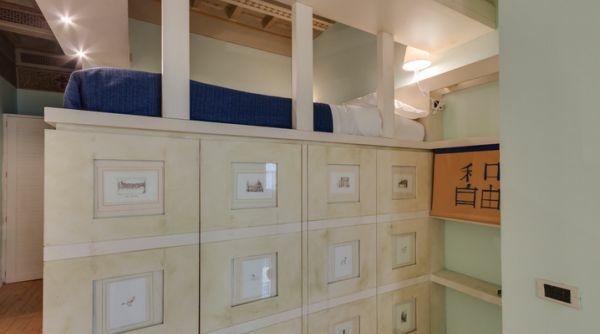 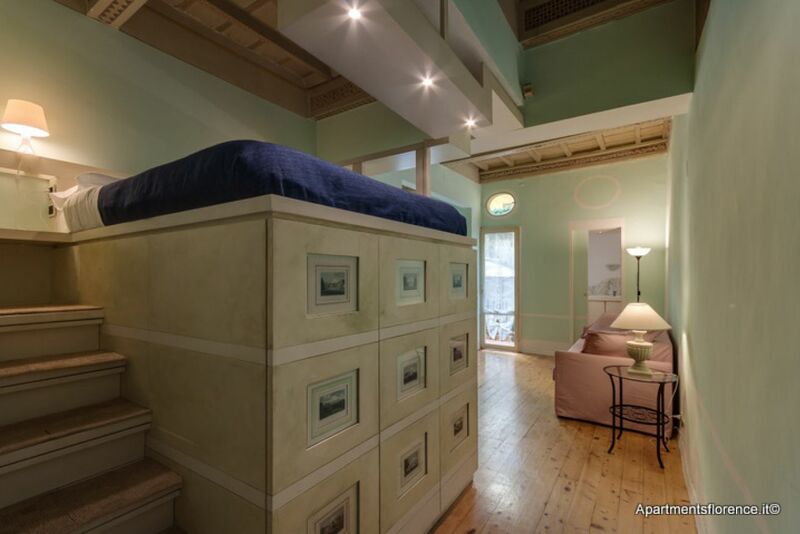 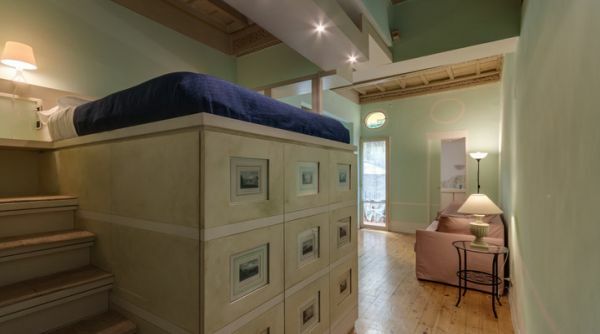 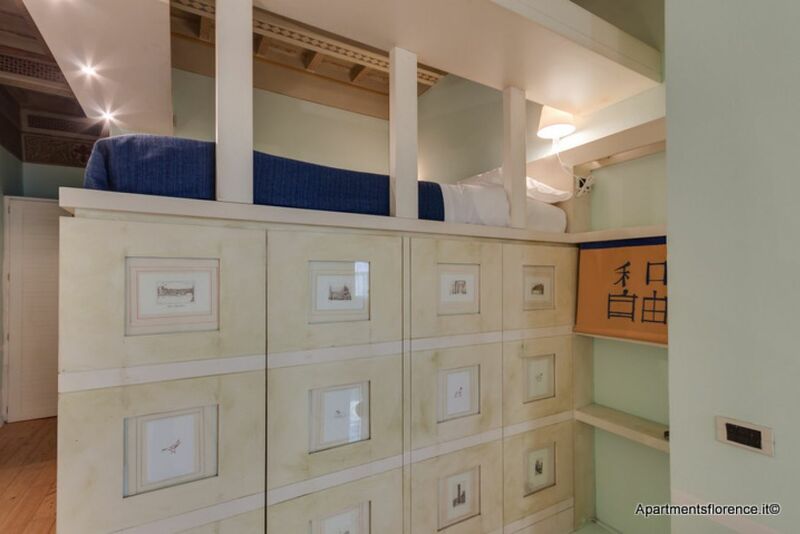 Next to the living area, a custom-designed mezzanine hosts a queen size bed and also provides for extra storage space, aside from the beautiful closet. 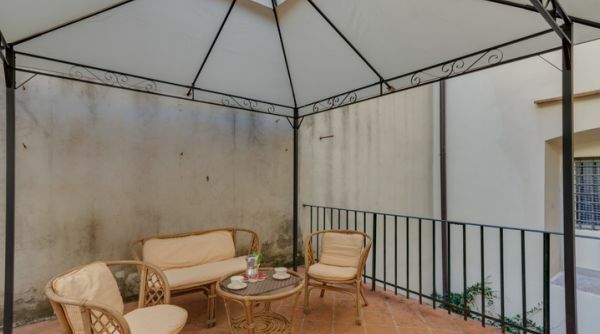 From the living area you have access to a stunning terrace, equipped with outdoor furniture: the perfect place to relax after a full day of visits and walking, or to have breakfast in the morning. 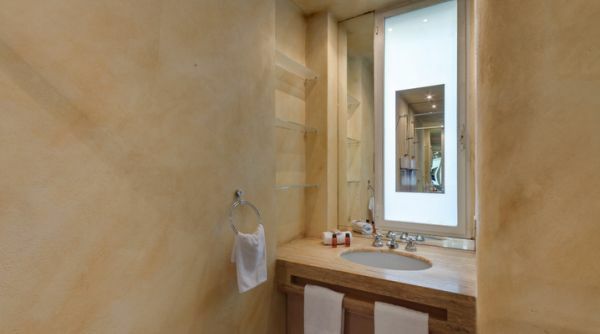 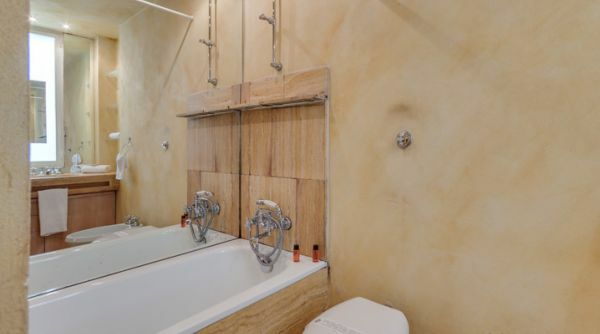 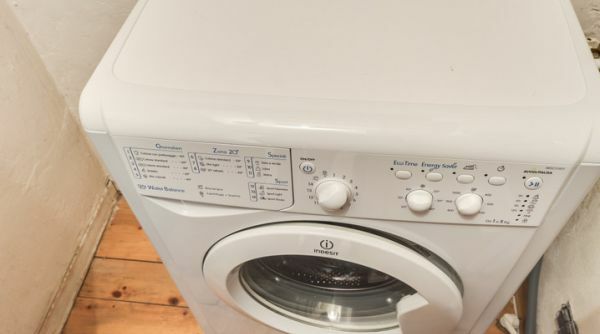 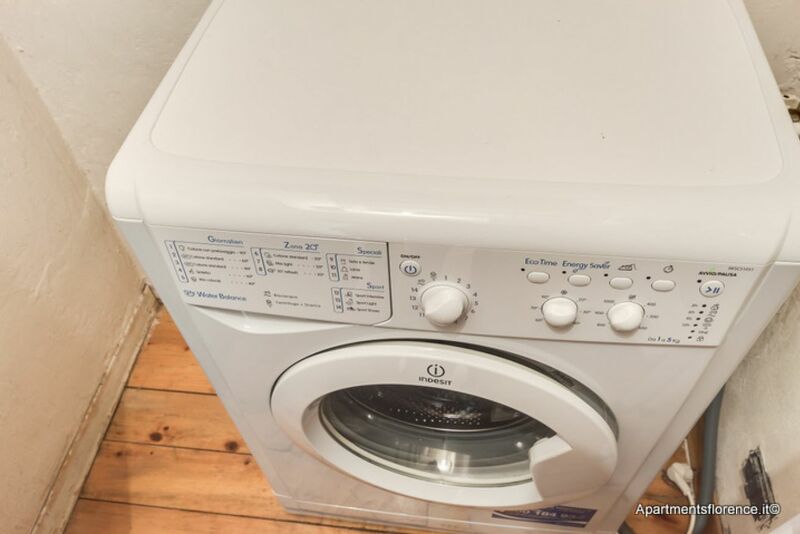 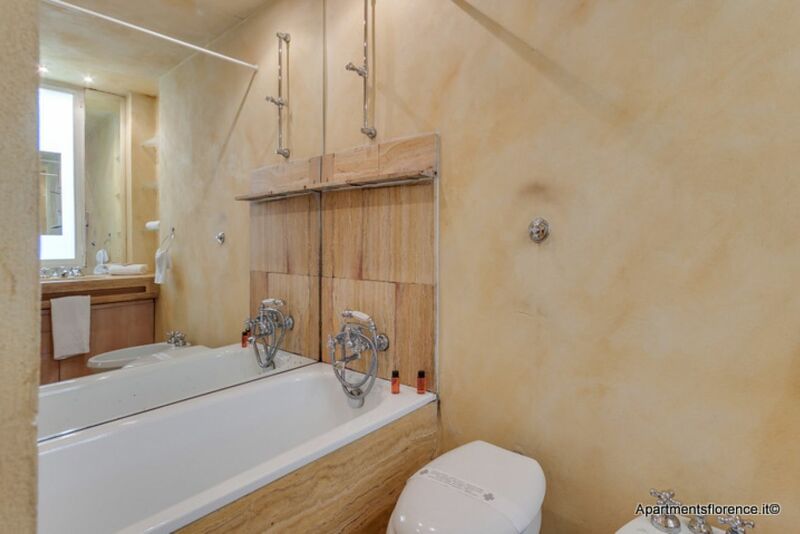 The newly renovated bathroom features bathtub and shower, and next to the dining area you'll also find a nice and useful laundry room with washing machine. 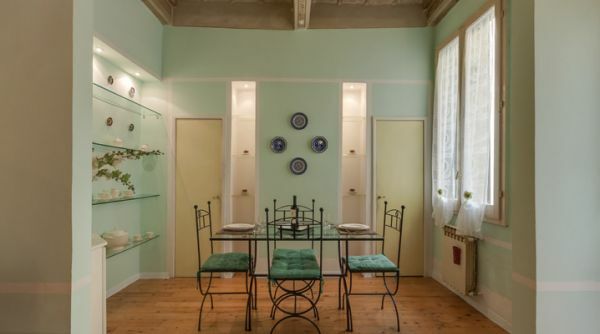 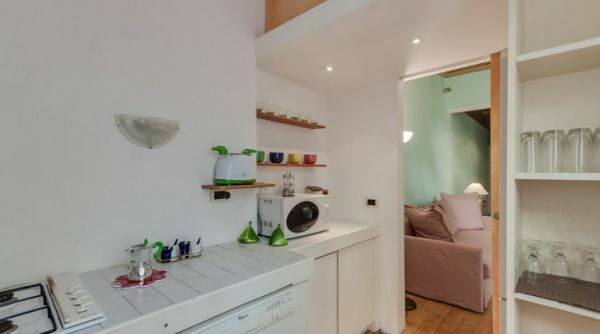 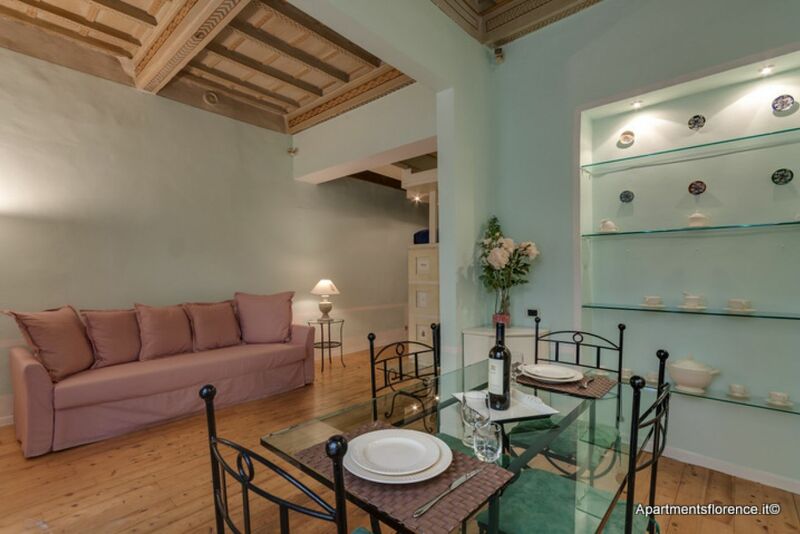 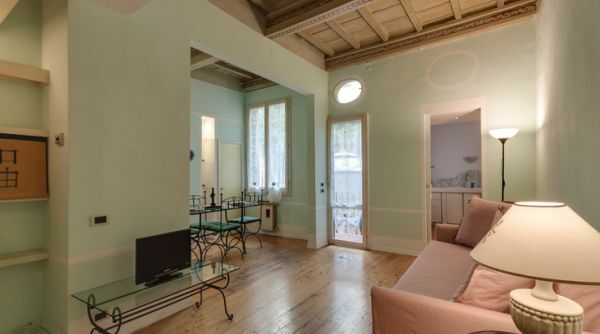 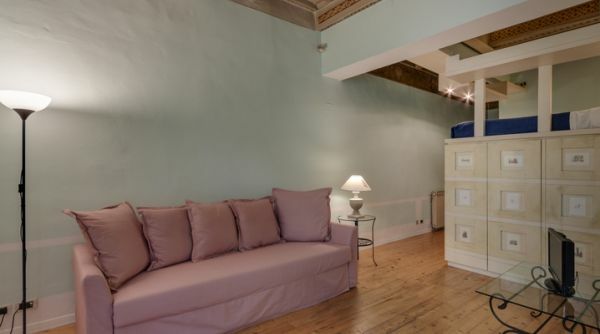 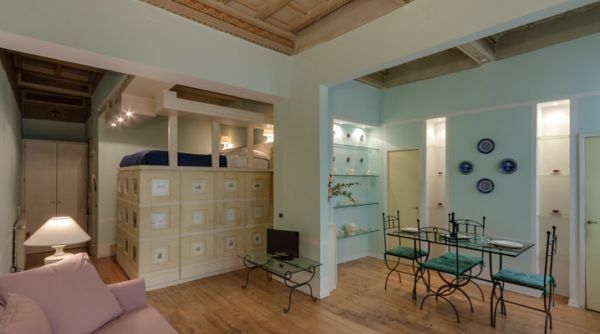 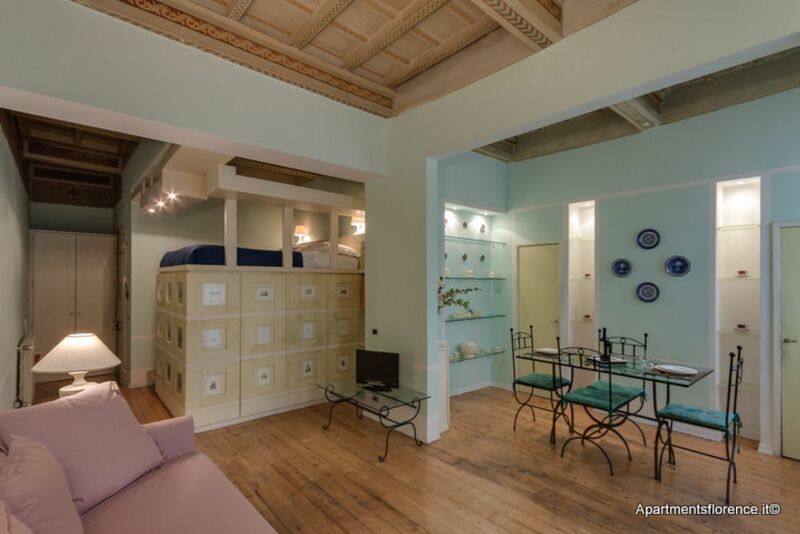 This lovely, charming apartment is the ideal choice for a couple looking for a nice, quiet and elegant spot for their stay in Florence. 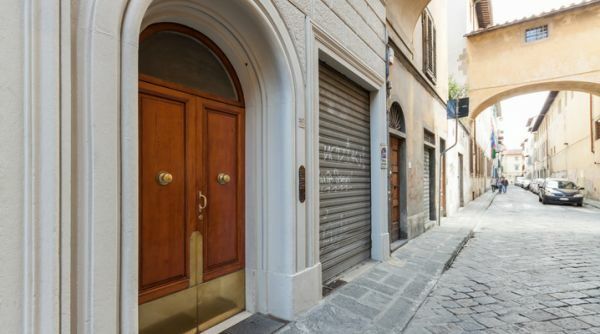 Via Laura is an ancient, peaceful and charachteristic street just off the corner of Piazza Santissima Annunziata, a few steps away from the Duomo and the Galleria dell'Accademia. 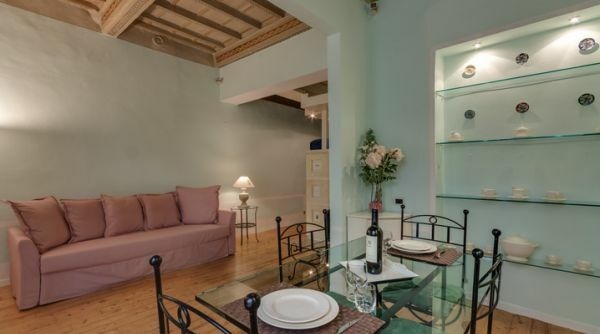 A perfect chance to experience the many qualities of Florence's city center, while also enjoying a silent, tranquil environment when you come home after a day of explorations. 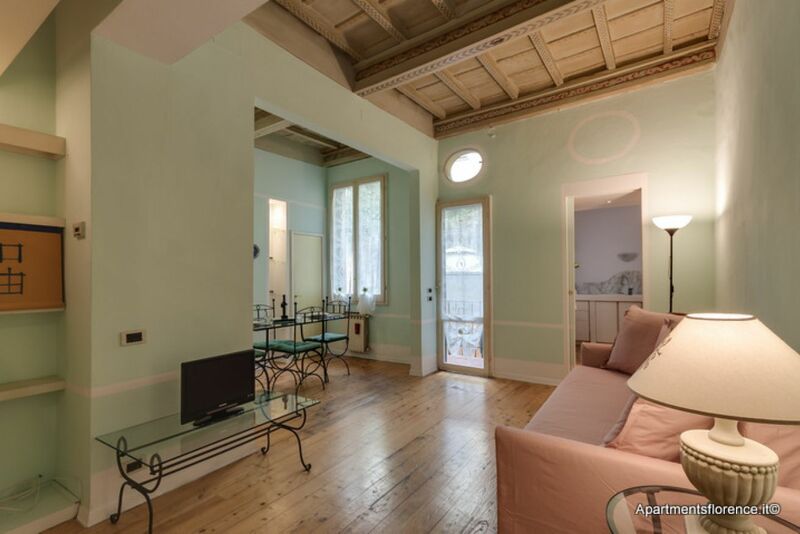 All of Florence's beauties are just a short walk away: Palazzo Vecchio, Ponte Vecchio, the Uffizi gallery, Santa Ctoce, San Lorenzo are all just around the corner, a pleasant stroll through the historical neighbourhoods of the city, full of restaurants, cafès, shops, markets and art galleries.